With the choice of Sony full frame E mount, or FE Mount, lenses currently fairly limited, the addition of two new optics will be welcomed by Sony a7 owners. Based on existing lenses from their ZE range, Zeiss’s new Loxia lenses promise high quality build, including mechanical aperture control, together with electronic coupling to the camera. This coupling allows EXIF data to be transferred from lens to camera, as well as activating the magnifier function in the camera’s electronic viewfinder for precise manual focusing. As you’d expect from Zeiss, both lenses are manual focus only, but thankfully feature a wide f/2 maximum aperture, ideal for shooting in low light or creating shallow depth-of-field effects. At the base of the metal lens barrel, both lenses boast a mechanical ring for controlling the aperture in a more traditional way. The ‘click’ of the mechanical aperture can be deactivated however, simply by turning a screw on the lens mount, making these Zeiss lenses suitable for ‘silent’ video capture, too. The optical construction of the 35mm Loxia 2/35 is based on Zeiss’s wide-angle Biogon design, featuring nine elements in six groups, and offers a minimum focus distance of 30cm for close up photography. 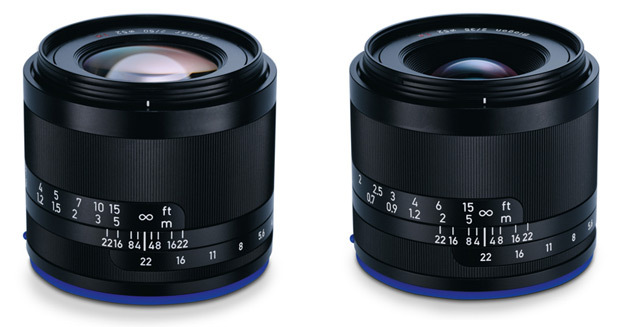 The standard 50mm focal length Zeiss Loxia 2/50 is modeled around Zeiss Planar lenses, featuring six lens elements in four groups, with a minimum focus distance of 37mm. 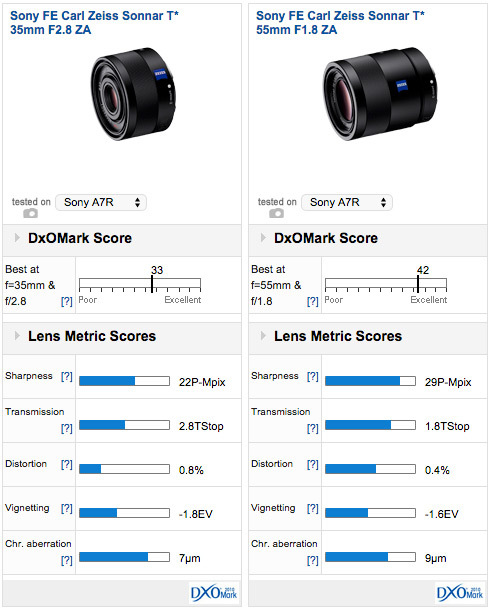 With a DxOMark score of 42 the Sony FE 55mm f/1.8 currently ranks in the top ten of all lenses on the our database – will the new Loxia 2/50 become the new king of the FE mount?